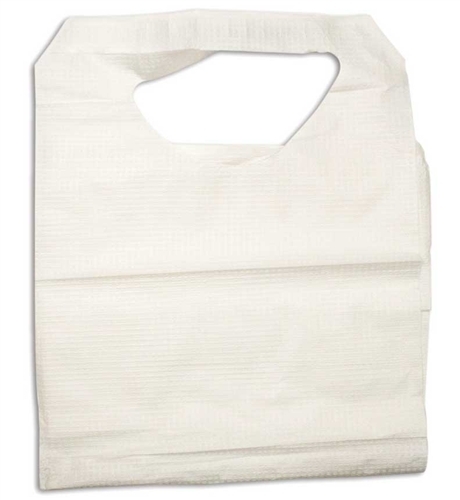 Dynarex Disposable Lap Bibs with Ties are 16” x 33” bibs for use with adult or geriatric patients. They are an affordable economical patient protection solutions. 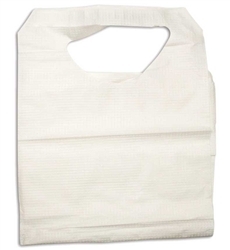 Dynarex Bibs with Ties are made of a durable 1-ply tissue and poly construction. They are white in color. Dynarex Bibs with Ties simply tie around the neck of the patient. When done using or soiled simply throw the bib away. These bibs do not have a pocket.